Welcome to Spa of the West! Call 775-322-7777 To Make Your Appointment! A deep tissue massage incorporating a variety of therapeutic massage & stretching techniques targeting tension, sore muscles, tightness & muscular pain. Natural arnicas & heat therapy provide immediate relief for a speedy recovery. 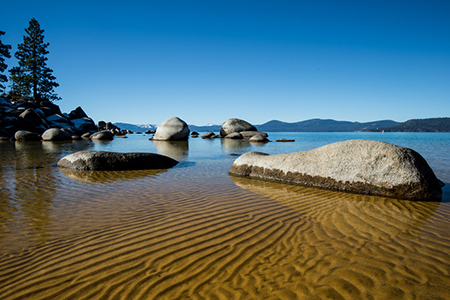 Massage: • Wellness/Relaxation, • Athlete's/Sports, • Mommy 2B, • Tahoe Hot Stone, • Neck Shoulder Hand & Foot Massage. Extra Member Benefits • 20% off Salon Blow Dry Services. • 30 minute FREE upgrade on your birthday! • 10% off full-priced retail items. • Free Child Care During Treatments. Enjoy all of the benefits offered in our Monthly Spa Membership plus an Executive Club Membership at Sports West Athletic Club. You receive a 1-hour consultation with a fitness instructor, use of all Sports West workout facilities, access to group fitness classes (including yoga and cycling), steamrooms, saunas, saline lap pool, childcare and club activities. Unwind in a journey of relaxation while receiving the ultimate skin care treatment. This cleansing and hydrating facial is designed to leave your skin with a silky, glowing complexion. 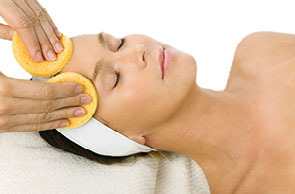 You'll also enjoy a rejuvenating scalp, neck, shoulder & hand/arm massage. Learn more about the many health benefits of the Far Infrared Sauna treatments, now available at Spa of the West. 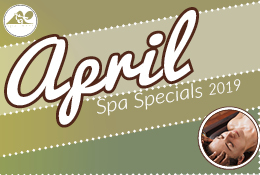 April Spa Specials April Showers Bring Great Spa Days! Massage benefits the body in many ways. Regular massages are relaxing, feel great and can also help to prevent injuries and restore moblity to injured muscle tissue, boost performance and extend the overall life of your sporting career! A relaxing, light to medium pressure massage utilized to improve circulation & ease tension while revitalizing muscles & joints. A deep tissue massage incorporating a variety of therapeutic massage & stretching techniques targeting tension, sore muscles, tightness & muscular pain. Natural camphor, mentholatum & heat therapy provide immediate relief for a speedy recovery. A Wellness Massage with the added benefits of essential oils. Choose from one of our rejuvenating aromas: wild orange to invigorate and boost immunity, lavender to relax and soothe, peppermint to uplift, or eucalyptus to improve respiration and ease overused muscles. You’ll experience amazing, deep muscle relaxation as your massage therapist utilizes heated basalt stones to melt away tension, ease muscle stiffness and increase circulation. A specially designed massage to ease the stress of your changing body. This gentle massage will help relieve back pain, increase circulation and reduce water retention. Ideal for targeting fatigue and stored tension in the upper body combined with a soothing hand and foot massage. The ultimate in relaxation! Add a little extra relaxation for you and your favorite person! For only $10, both of you can share a massage room while enjoying your choice of one of the following massages: Wellness, Athlete’s, Sierra Aromatherapy or a Neck, Shoulders, Hand & Foot massage. A variety of upgrades are available for you to continue enjoying each other’s company! Unwind in a journey of relaxation while receiving the ultimate skin care treatment. This cleansing and hydrating facial is designed to leave your skin with a silky, glowing complexion. You’ll also enjoy a rejuvenating scalp, neck, shoulder & hand/arm massage. Our professional skin care therapist will address your skin care needs to achieve healthy skin. Suited for any skin type: acne, aging or dry skin. Your skin will feel clean and healthy! This therapeutic back treatment is customized for any type of skin, specifically for treating acneic condition. An exfoliation and deep-cleansing treatment for this often neglected part of your body. Does shaving bring about the worst of your skin? Help skin recover from the damages by cleansing, exfoliating and hydrating. This treatment includes a relaxing scalp, neck, shoulder, & hand/arm massage. A specially-designed facial regimen for teens that treats congested, oily, or acne-prone teen skin. Proper facial care & cleansing education will conclude this treatment. This perfect skin-health treatment includes a quick-cleansing, exfoliation, extraction, and hydration for the skin. In just 30 minutes, this treatment is a quick fix to leaving your skin feeling fresh, clean, and healthy. Pumpkin and papaya enzyme exfoliation contains five percent lactic acid to provide a gentle but accelerated exfoliation. Great for all skin types and conditions, this treatment will restore a youthful and healthy radiance back to your skin. Designed for the busy person, our exclusive active life corrective treatment will immediately improve your skin. Our skin care therapist will perform a deep pore cleanse, and exfoliate your skin with an AHA exfoliant to reveal healthy, smooth and vibrant, younger-looking skin. Best for oily and acne skin types. There are many reasons for acne breakouts, most commonly stress, genetics and hormonal factors. Our comprehensive acne treatment products are targeted to calm congested skin and take control of your acne. Best for sun damage, fine lines, hyper-pigmentation, and post-inflammatory pigmentation. Glymed Plus® 5-Berry Pigment Control Peel combines 5 natural extracts of cranberry, raspberry, blueberry, blackberry and bearberry. The combination of these potent berries will brighten skin discoloration as well as increase cell turnover and collagen production. A great prep for microdermabrasion that will enhance your overall skin renewal. A highly effective anti-aging treatment that reduces fine lines and wrinkles, smoothes coarsely-textured skin, decreases pore size, scarring, and reduces superficial hyper-pigmentation age spots. This treatment also hydrates the skin and stimulates collagen production, leaving your skin with a youthful and healthy appearance. Enjoy all of the relaxing benefits of our Tahoe Hot Stone Massage upgraded with a lavender aromatherapy oil to relax and soothe your body. Finish with a dreamy peppermint foot massage, sure to provide a good night’s sleep! Enjoy a stimulating and invigorating dry-brush exfoliation, followed by a relaxing massage with warm rosemary Epicuren® lotion to soothe dry, thirsty skin. By the end, you’ll feel rejuvenated, mentally clear and refreshed! This all-natural body contour wrap encourages cellulite loss. The wrap uses circulation and gentle pressure to flush toxins and waste materials trapped in vulnerable fat cells. Skin will be nourished, appear smoother, and inches will be lost. Soak, nail care, towel wrap, massage and polish. Soak, file, massage, nail art, mocktail. Soak, clip, file, scrub, massage, nail art. Get the richest, deepest, darkest tan. No streaking or inhaling fumes! Our hand-applied, sunless tanning treatment includes a full-body exfoliation and application of our luxurious St. Tropez Bronzer® into your skin for an even and natural-looking tan! The Mountain Mist Body Treatment (80 minutes) Spa of the West Customized Facial	(80 minutes) Includes wine, cheese, crackers and fruit platter. Book a Spa of the West Private Party, for 4 to 12 guests, and share relaxing time with your friends! Great for wedding parties, bachelorette parties, girls’ night out, graduation, teen night & more! One 60-minute & one 30-minute treatment, or one 90-minute treatment, (massage and/or facial). Sparkling water, white & red wine, fresh, healthy hors d’oeuvres and salad. To book your Spa of the West Private Party, please call Spa of the West at 775.322.7777 between 8 am and 8 pm. 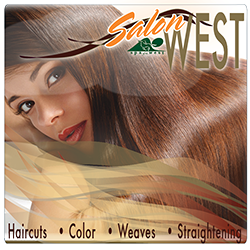 Spa of the West Salon offers traditional and the latest trends in hair. Our highly-skilled stylists will design your hair to compliment your facial shape and lifestyle. Use a dry shampoo like DrySpell color protect before you work out. By prepping your hair with dry shampoo before you get on the treadmill, the product can absorb sweat during your workout. Afterward, you can spritz in some more dry shampoo, but be sure your hair is dry. When applied to wet hair, dry shampoo leaves behind a cakey residue that’s anything but pretty. By using a blow dryer and round brush you can dry up light post-workout dampness. Lightly spray your hair with TextureCharge color protect texture & finishing spray to help your hair smell fresh and give it body. Massage in a drop of styling cream—try HeatProof anti-frizz blow dry crème or ControlCraze styling creme—throughout hair, staying away from the scalp area. Tousle and scrunch your hair with your fingers while blow-drying for a refreshing boost of volume. Find out which products will work best for your hair length and texture by asking one of our stylists at the Spa of the West Salon They’ll know how to help you get your style back after a good workout. ClearItUp detox shampoo is great for using after you swim. This one-of-a-kind, super-charged, sulfate-free detoxifier with baking soda is the ultimate rehab for color treated hair. Gently cleanse and deodorize hair while removing dulling build up. Leaves hair amazingly clean, soft and weightless. Color pricing varies, based on your personal needs. Consultations are complimentary and highly recommended. Call and book your appointment with one of our highly-qualified nail technicians. 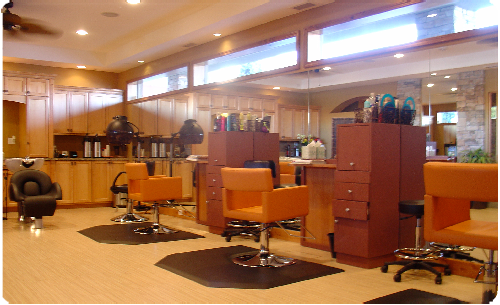 Our technicians can offer you the latest in color, art and nail trends. Open every day except: Thanksgiving Day, Christmas Day & Easter Sunday. Sign up here for monthly email Spa Specials!